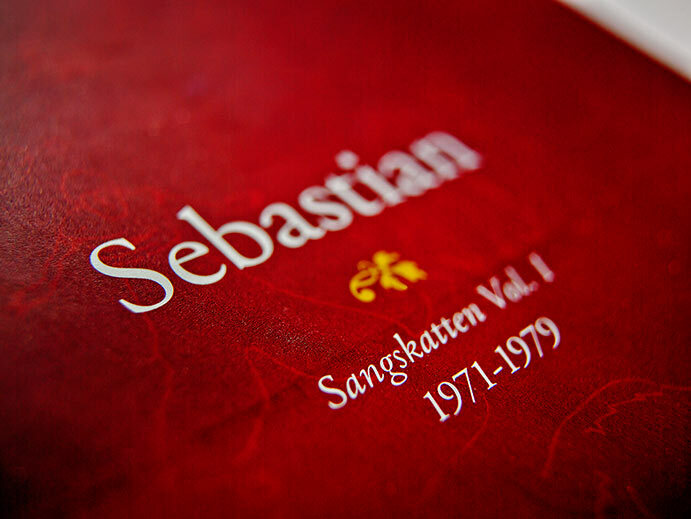 The musician and composer, Sebastian, has been one of the biggest names on the Danish music scene since the early 1970s. 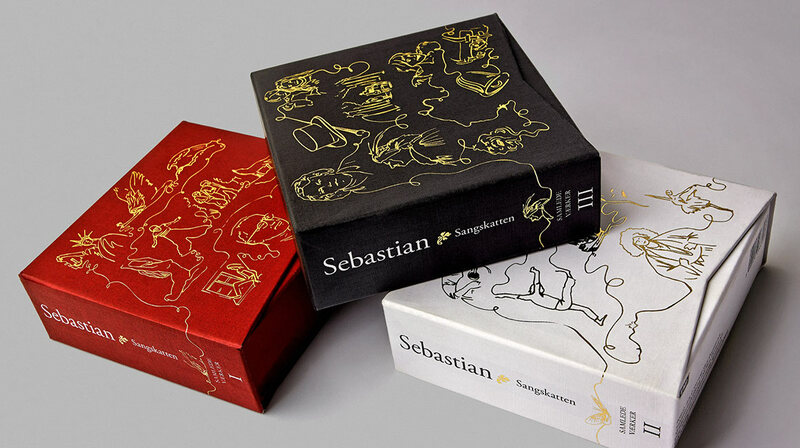 With more than 30 albums behind him, in 2005 it was decided to release a box set of his collected works. 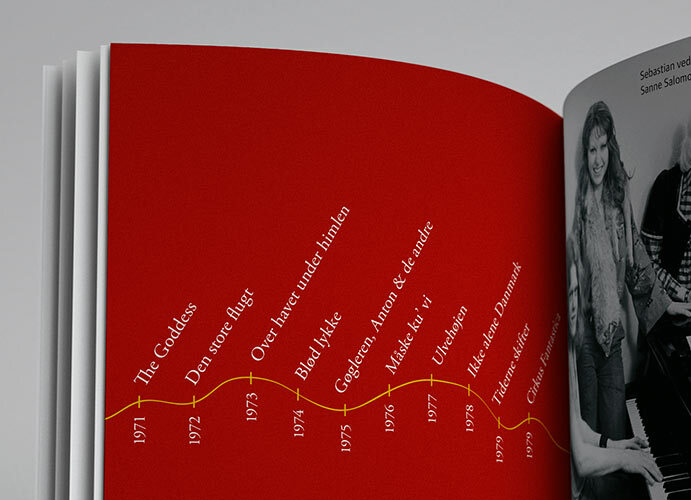 We designed the triple box set and accompanying booklets. The canvas-bound boxes featured embossed covers with details from the original album covers in chronological order. 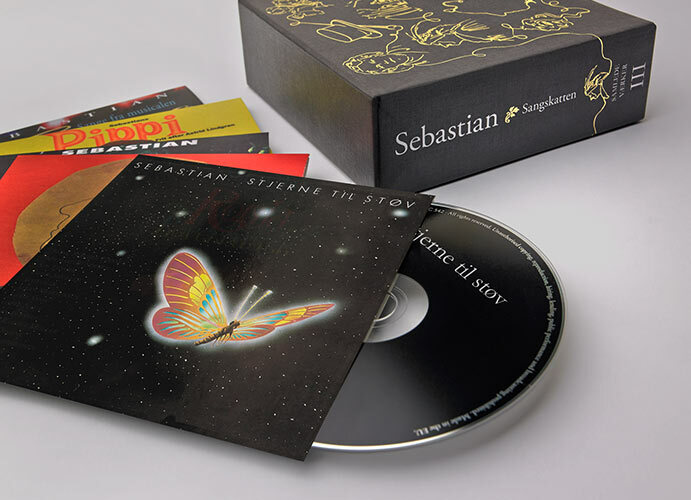 The individual albums were packed in cardboard sleeves with the original artwork together with a 40-page booklet in each set. Following the release, we produced a series of posters and adverts.